Do you know that with Magic Carpet Cleaning your home carpet can look and smell a lot better? Yes, we provide professional steam and dry cleaning services for your domestic carpet, rugs or upholstery at fantastic prices. Our team of expert carpet cleaners is ready to arrive at your address even the same-day as we offer services on short notice. They work with the best steam cleaning equipment or when dealing with delicate fabrics – top-notch dry treatment machines. 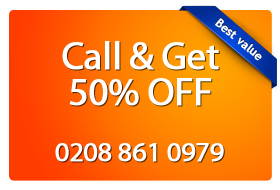 Call us right now on 020 8861 0979 and claim your free price quote! You will be amazed by our great discounts and fantastic clean results. This can be helped by Magic Carpet Cleaning in Worlds End SW10 as they ensure that the carpets remain clean for a long time and the homes have the glow of properly maintained and clean apartments. Our Magic Carpet cleaners in World’s End SW10 employ the hot water extraction method – powerful vacuum cleaning technique to get to the roots of the stains and remove it by treating with chemicals. This technique not only bid goodbyes to the stain mark on your carpet but also neutralizes the smell that treatment with shampoo and other chemicals can never get rid of. We at Magic Carpet Cleaning believe in long standing relationships with our customers. We at Magic Carpet Cleaning will be more than happy to take your call and book your service with us. Don’t hesitate but call us right now on 020 8861 0979 and get a free quote. Alternatively, you can make your arrangement via our online booking form.